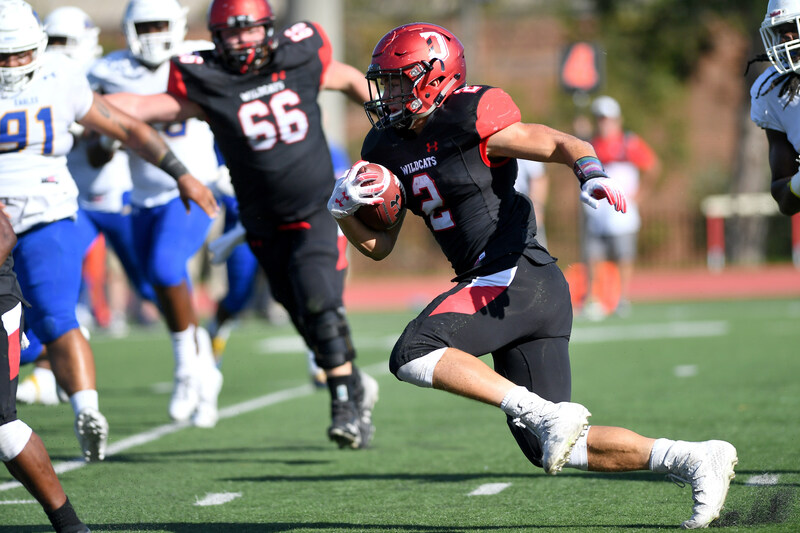 Under the leadership of first-year head coach Scott Abell, the Davidson Wildcats football team has put together an incredible turnaround after a rather disappointing 2017 campaign. Here’s a look in the remarkable change of the ‘Cats key offensive statistics over the past four years. The stats are mind-blowing. 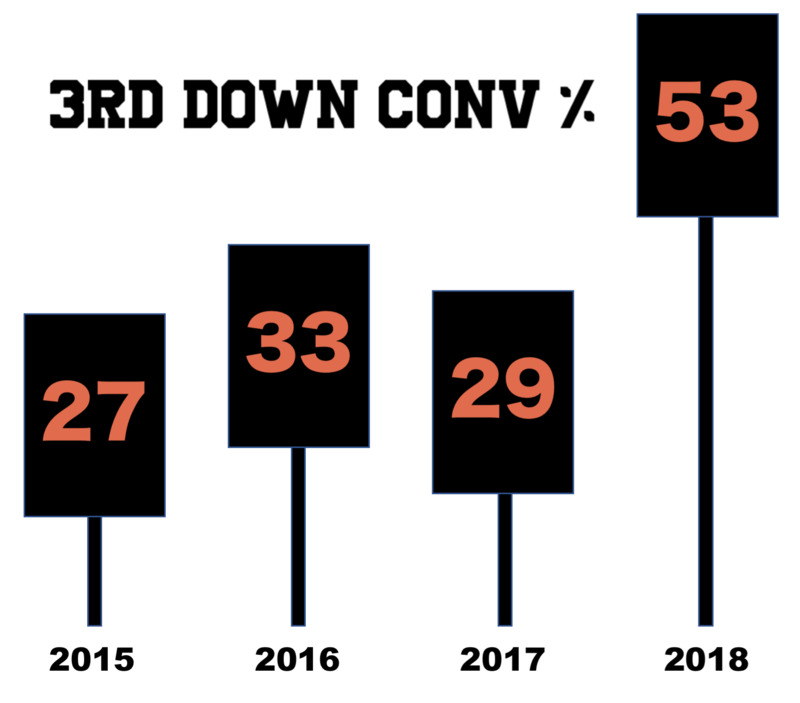 It’s safe to say that Davidson Football has turned the corner. To see how far around that corner, here’s one more set of stats. The headline of this year’s story is the unrelenting rushing attack of Coach Abell’s new offensive system. The triple-option-based system has them ranked first in FCS in rushing offense, totaling 4,350 yards on the ground, almost 600 yards more than any other FCS team, and averaging 435 yards per game. The ‘Cats have surged to first in total offense with 562.7 yards per contest and third in third-down conversion % (53.2). They boast the best points per game in the Pioneer League with an impressive 45.3 PPG, assisted by their 91-point explosion against the Guilford Quakers. The mind-boggling win set records across the board, including 13 Wildcat touchdowns. The offense has been explosive this year, scoring 8 TDs on runs of over 60 yards and averaging a Pioneer League-leading 7.7 yards per play. 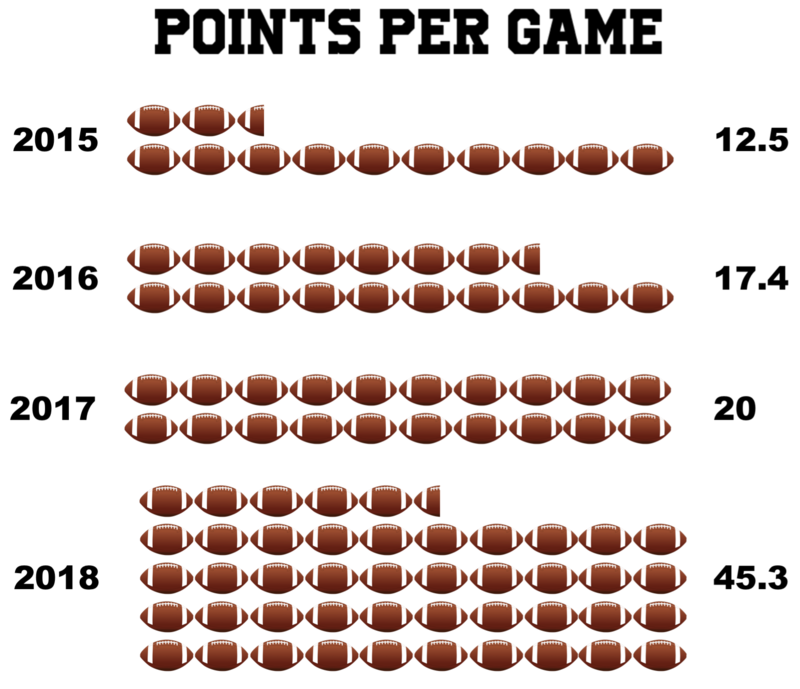 The team has scored 14 total touchdowns of 50+ yards, accounting for 21.8% of all of Davidson’s TDs. On Saturday in Davidson’s 56-52 loss to San Diego, the ‘Cats broke the long-standing Division I record for most rushing yards in a game, racking up an astounding 789 yards on the ground. 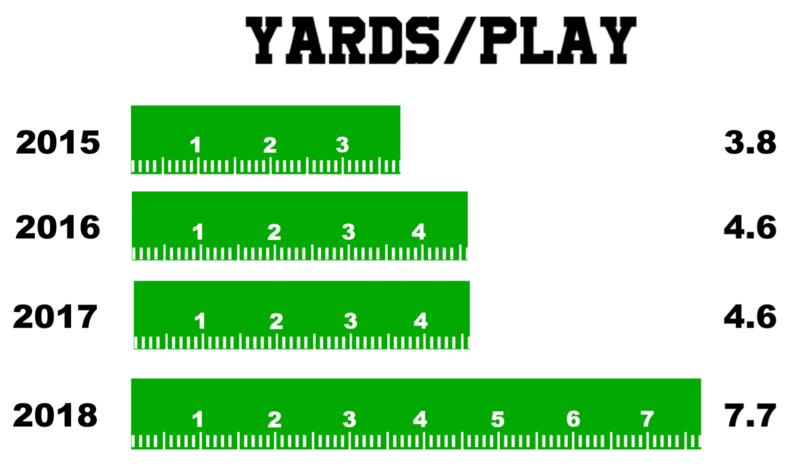 For only the second time in FCS history, four separate players ran for 150+ yards. The team also boasts three players among the top ten rushing leaders in the Pioneer league: RB Wesley Dugger, WR William Wicks and QB Tyler Phelps. Sophomore standout Dugger leads the Cats running game, ranking 2nd in the Pioneer League in yards and 8th in FCS overall. As the Wildcats head into their season finale at Richardson Stadium for a Senior Day matchup against Butler, they look to finish their season on a high note while riding an impressive first season with the new coaching staff. 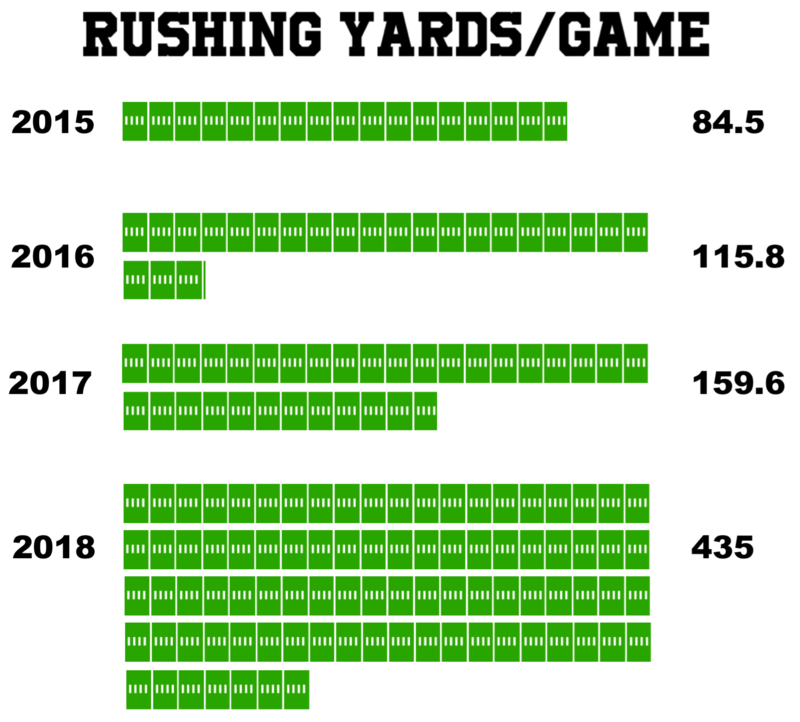 Things are looking up for years to come should the Cats keep rolling with their new hard-nosed rushing attack which has already paid large dividends to the program’s success.